Renova Medical Center always appreciates feedback from our valued patients. To date, we’re thrilled to have collected 4 reviews with an average rating of 5 out of 5 stars. 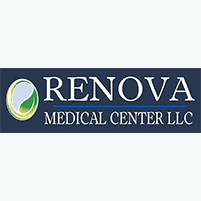 Please read what others are saying about Renova Medical Center below, and as always, we would love to collect your feedback. Every day I lived with major neck pain. I tried everything for the pain. I decided to be injected with stem cells at Renova Medical Center. A day later I was out of pain for the first time in years! I feel better every day. I came into Renova Medical Center because of the sharp pain in my leg and lower back. Working on my farm became unbearable. I was taking pain medications every day. I chose to receive the stem cell treatment. Over a course of one week the sharp pain in my leg is completely gone. I avoided surgery and stopped taking pain medicines. The staff at Renova Medical Center was great to work with. I’m able to work on my farm with no pain! I had severe knee pain. I needed a cane to walk. I received the stem cell injection at Renova Medical Center. I no longer have knee pain. My pain is gone. I’m able to return to work without the pain. At Age 81, I was suffering from debilitating back pain. My quality of life was nearly dried up, since I spent my days sleeping from the pain medicines. After receiving the stem cell therapy at Renova Medical Center, I woke up after a few days with no back pain. Renova Medical Center helped me to do the things I enjoy doing again, without surgery or pain pills. I regained my life!